Every Scout deserves a Trained Leader! A trained leader is knowledgeable and more confident in the role being performed. Trained leaders exhibit a knowledge and confidence that is picked up by people around them. Trained leaders impact the quality of programs, leader tenure, youth tenure, safety, and a whole lot more. A trained leader is better prepared to make the Scouting program all it can be! The Boy Scouts of America has made much of their training available online through My.Scouting. As of Feb. 28, 2018, OWLS is no more. BALOO stands for Basic Adult Leader Outdoor Orientation. It’s the introductory training Cub Scout leaders should complete before taking Cub Scouts on an overnight camping trip. Recent updates to this two-part course make the content more impactful, useful and convenient. The new BALOO combines the previous BALOO and a course called Outdoor Leader Skills for Webelos Leaders, or OWL. Click here for more info. The Boy Scouts of America is dedicated to the principle of protecting youth and has recently updated its Youth Protection Training Course to better reflect the values and risks of today's' Scouting program. And so, the BSA requires that all registered leaders must complete their Youth Protection Training before being registered as leaders. It can be completed through My.Scouting. More information can be found on our Youth Protection page. Thank you for keeping our Scouts safe! Click here for information on the Youth Protection Training updates! The Narragansett Council provides selected training opportunities "in-person" throughout the year at various locations. We highly recommend these events that are run by our fantastic volunteers. They are great opportunities that allow volunteers to network and discuss their specific questions. See below for a listing of upcoming events. Youth Protection training is designed to help you keep our youth safe from abuse. You will learn the Boy Scouts of America's Youth Protection Guidelines, signs of abuse, and how to report suspected abuse. After each section of material, you will answer questions about that section's topic. Completion is noted automatically in the BSA training records database if the module is experienced online. This course is designed as an introduction to the Cub Scout outdoor program for leaders interested in adding a camping component to their Pack activities. BALOO training consists of an online pre-requisite component in addition to an overnight hands-on practical section. BSA's Cub Scout level camping policies will be taught along with the discovery of the necessary tools to help units carry out a successful camping experience. Completion of this course is mandatory for a MINIMUM OF ONE adult on a Pack overnighter. This is a one-and-a-half-day course – 8:00 AM Saturday until 12:00 PM on Sunday. Prerequisites: Prior to taking the practical component, participants must have completed the online component. Both components, the online and the practical, must be completed in order to fulfill the “BALOO Trained” status. 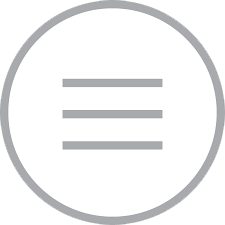 In the event the online component is not completed prior to the practical, the trained status is withheld until both components are successfully completed. The online portion is available through the BSA LearnCenter. Log onto my.scouting.org and select the BSA LearnCenter image on the right side of the home page. As of Feb. 28, 2018, OWL is no more. The new BALOO combines the previous BALOO and a course called Outdoor Leader Skills for Webelos Leaders, or OWL. BALOO stands for Basic Adult Leader Outdoor Orientation. It’s the introductory training Cub Scout leaders should complete before taking Cub Scouts on an overnight camping trip. Working as patrols, this hands-on course provides adult leaders the practical outdoor skills they need to lead Scouts in the out-of-doors. Upon completion, leaders should feel comfortable teaching Scouts the basic skills required to obtain the First-Class rank. Along with Scoutmaster Specifics this course is required of all direct contact leaders registered in Scouts BSA Troops and Varsity Scout Teams, in order to be considered “trained”. The pre-meeting provides skill instruction for the weekend and begins the process of patrol formation. This meeting is your chance to ask questions and Be Prepared for your Outdoor Leader Skills training course. (Attendance at the pre-meeting is mandatory and walk-in attendees cannot be accepted during the weekend.) 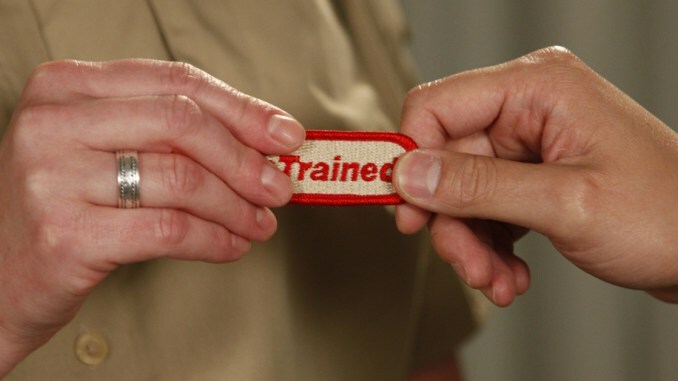 You should take this training if you are an adult in a Scouts BSA Troop. This is a two-day overnight training – 6:00 PM Friday until 12:00 PM on Sunday. -- Mandatory Pre-Meeting for IOLS is typically scheduled on a Wednesday (6:30 -9:00PM) one week before the weekend event. Check the council calendar for specific dates and times. Designed for all Cub Scout den leaders, this course is intended to provide them with the experience, basic information, and resources they need to conduct successful den meetings. This course is intended to provide Cubmasters with the information and tools they need to successfully lead a Cub Scout pack. The purpose of Scoutmaster Position-Specific training is to provide an active, fun, and positive learning experience for new and experienced Scoutmasters and their assistants to learn and apply proven techniques for running an effective Scout troop. Participants will learn how to meet the aims of Scouting by applying the eight methods of the Scouting program.